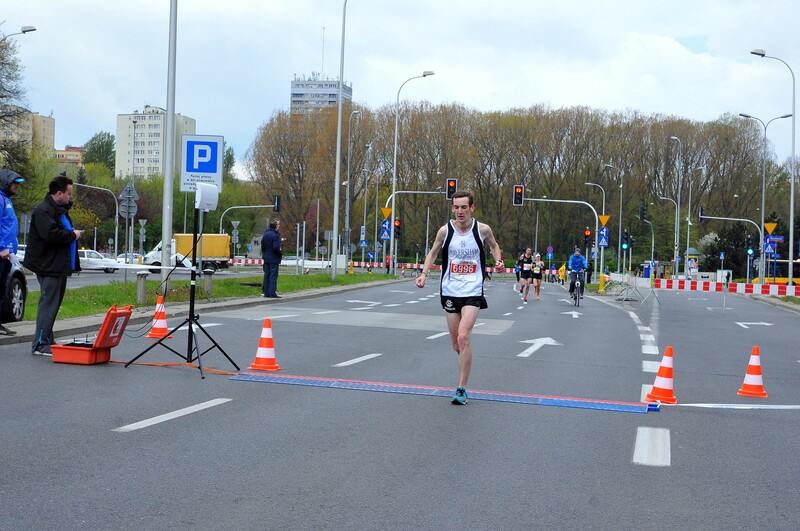 One of the things on my list to do while in Europe was run my second marathon. Having run one in Dunedin previously 2 years ago I know this would be quite a commitment but would ensure I got out running and exploring Warsaw by foot in preparation for whichever one I chose. 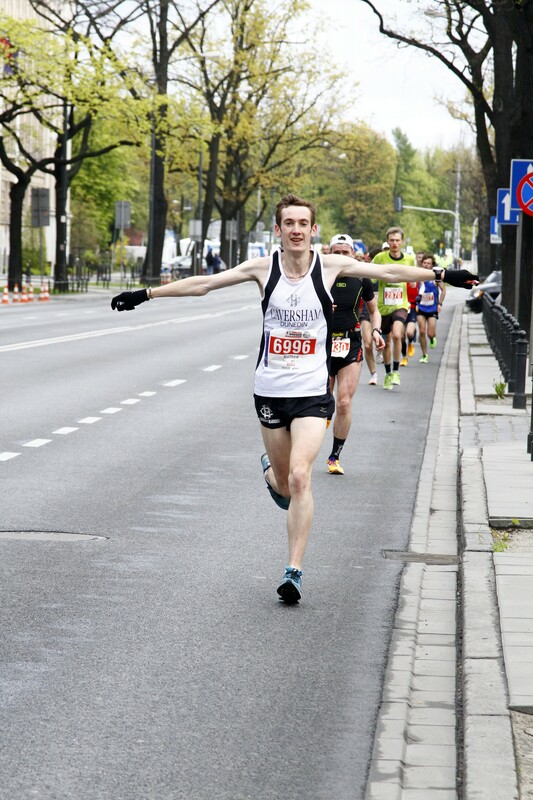 So when I heard of the Warsaw Orlen Marathon a few months back it seemed like the prefect opportunity to see the city I am living in and meet people in the local running scene. Well the race was 2 days ago and so here is the tale of how it went. My training leading up to the day had been pretty solid (I thought) and reasonably fast which pointed to a comfortably under 2:35 marathon but looking back I did nearly all of my training on a dirt path in the park which was both easy on the legs and sheltered from any adverse weather conditions. 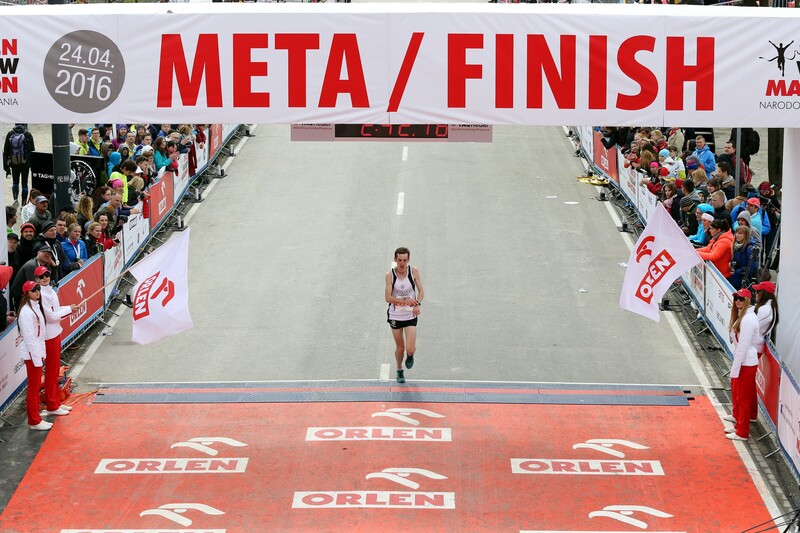 I had a run a 1:14 half marathon followed by a 10km race the Sunday before as preparation and felt ready. Race day bought about overcast skies and only light winds, a cracker of a day for a fast time I hoped. Arriving early so I wouldn’t have to rush (so I thought) I spent a bit of time doing a bit of Sudoku and chilling before the start. 25mins before the start I headed to the start line with a stop at the bathroom for a nervous piss stop. This proved the undoing to start with as hundreds of others had the same idea so I was left with only 10mins to get to the start line. This wasn’t too bad as I was right next to it and they were letting the faster people in near the front so I was sure I could squeeze it. 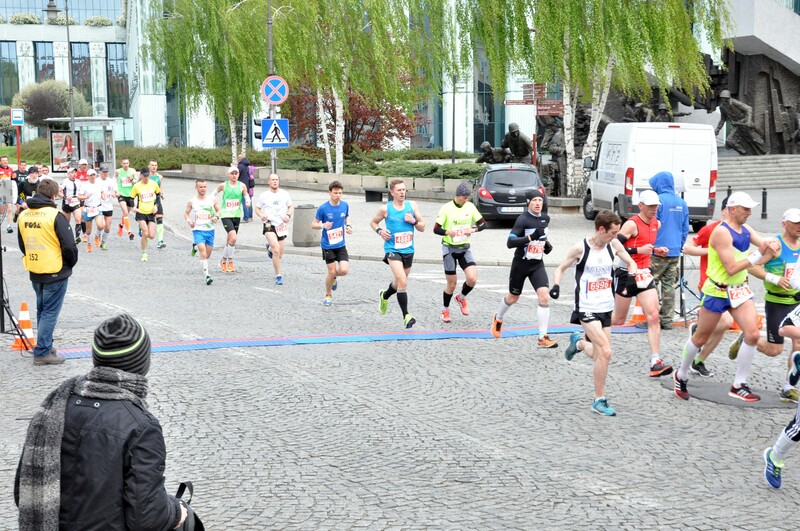 HOWEVER due to how they started to marathon and 10km race they closed to entrace for the marathon at that time as to get to the start you had to cross the start of the 10km race! Despite my Polish on the improve I had been unable to make heads or tails of the announcements over the loudspeaker so had no prior warning for this. The first 10km of the race I spent weaving my way in and out of runners, speeding up, getting boxed in and running far further and using more energy than I thought possible. Finally it started to clear up and by the 13km where I two friends of mine were first stationed I was clear but way below my average time and having used lots of energy. 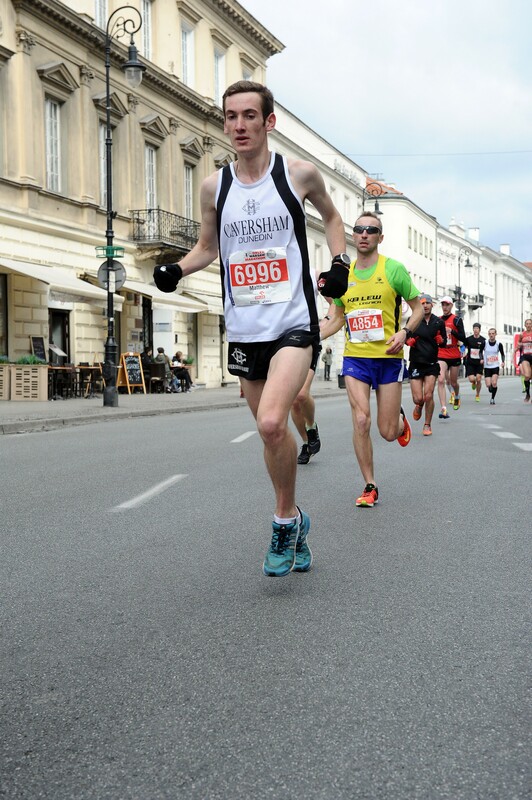 Somewhere in the first 10km with the crowds starting to thin out, I can’t believe the pace I am running at! 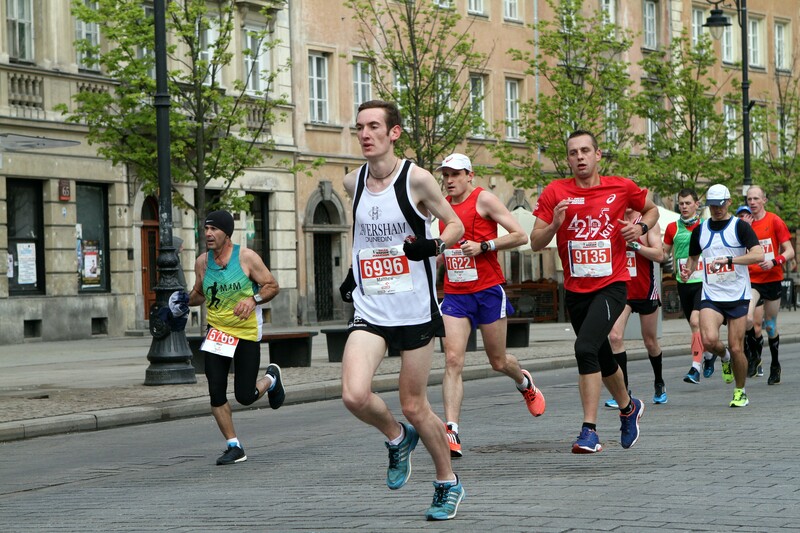 I gradually made my way up through the field and started to get closer to my average I wanted to hit and continued this through till the 25km mark where I found a group running about the pace I wanted and as we hit a head wind I tuck in behind and feel into their pace. By this point I had taken one energy gel yet it did absolutely nothing, I feel like my stomach shut down for the entire race. I was determined to stay with this group until the 32km ish mark and then push the last 10km with everything I had left although as we covered those 7km, being buffeted by the wind my legs felt like there was nothing in them. I had used way to much energy starting off and was now paying for that. The group split up abut the 31km mark and the full brunt of the wind hit me. I managed to keep the pace going for a few km’s but gradually slowed until I was well off my pace and know sub 2:35 wasn’t happening. When the group split up, heading into the wind. The last 8kms were rather painful, physically and mentally knowing that I had trained this hard and run this long and I was going to miss out on my goal. I was alone for the last 5km and it was all I could do to keep moving and get to the finish line. 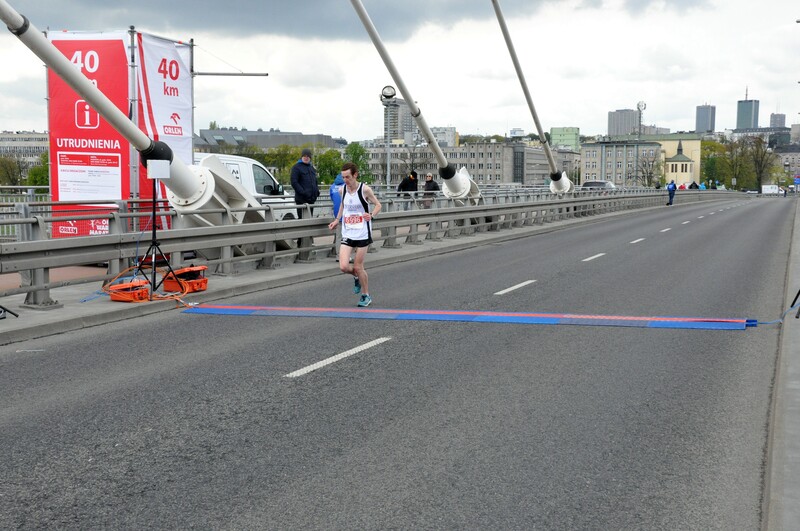 Yet again the two friends were there to cheer me on, this time going up one side of the bridge at the 40km and I was told to not talk and just run. I tried to talk but it came out all slurred and then I realised how tired I was. I managed to get across the finish line and received my medal from a guy I had met at Park run and had given me tips on the race the day before. The race went through lots of areas I have never been to so lots of my race was spent taking in the surroundings! He knew I wanted sub 2:35 so gave me a hug when he gave me my medal and just said well done. As I walked away I was approached by two medical personal to see if I was ok, I must have looked like a wreck to be honest! I was handed two bottles of water, an energy drink and a non alcoholic beer (typical Poland) before I planted myself in he middle of the road and tried to get some energy back. After I managed to meet up with the two friends who were still around and they helped me wander away, and after a stop at Burger King for a long awaited burger (and lemonade that has never tasted so good) got home. It was an awesome experience, mostly because of the huge scale that it was held on. 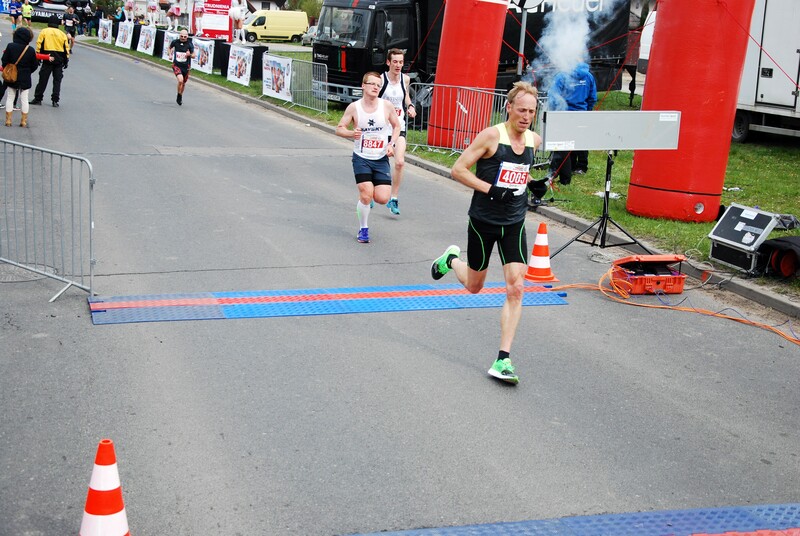 My first marathon started on a road with a chalk line and a small group of competitors. this had thousands, with an exhibition centre, changing rooms, showers, hundreds of toilets, grandstands at the finish, kids playground and the list goes on. I will never forget the atmosphere during the whole experience, the nervous energy, support along the way and then the relief at the end. Speaking of support, there were people along the whole course cheers the runners on making signs and asking for high fives. It was very motivating and part of the amazing experience. Also there were drink stations every few kms and every second one had chocolate and bananas too. I don’t normally like to eat or drink during my runs as it normally causes the stitch but I was planning on having some chocolate at the 32km mark to give a boost for the finish. As I approached to food station they were holding a plate out with broken chunks of chocolate of in so I reached out to grab one but not realising ho cold and unresponsive my hands had become in the wind I grabbed at one but upended the entire tray in the process. I also managed to drop the one piece I got as my fingers couldn’t close fast enough around it. All in all it was a good experience and something I am very glad I did. I am still disappointed about my time but it is a good motivator and I am looking forward to getting out and running again. 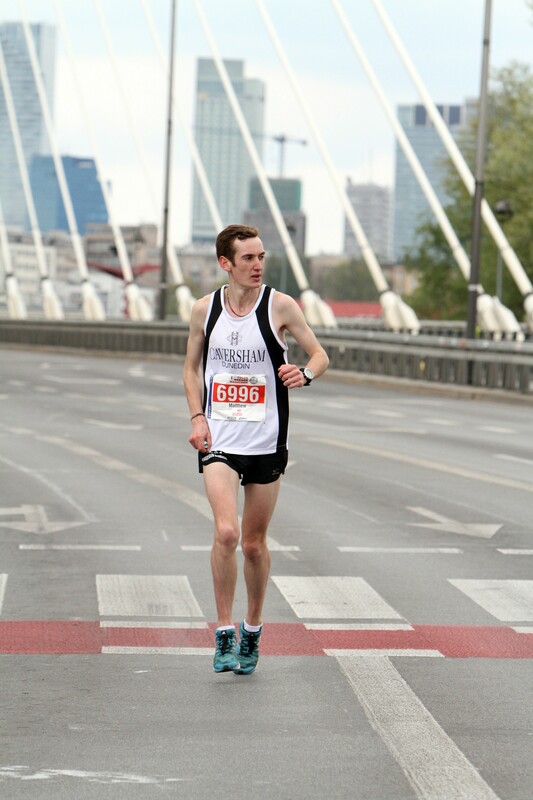 I might leave marathons alone for a few months but would like to get out and about in the stunning Warsaw weather.